We offer Grape Seed 95% Proannthocyandin. Ginseng is believed to boost energy, lower blood sugar and cholesterol levels, reduce stress, promote relaxation, treat diabetes, and manage dysfunction in men. There’s strong evidence that grape seed extract is beneficial for a number of cardiovascular conditions. We are offering a best quality range Grape Seed Extracts Product with diffrent packaging size.grape seed extract is beneficial for a number of cardiovascular conditions. Grape seed extract may help with a type of poor circulation (chronic venous insufficiency) and high cholesterol. Grape seed extract also reduces swelling caused by injury and helps with eye disease related to diabetes. - Latin Name: Vitis vinifera L.
Grape Seed Extract naturally contains many beneficial compounds, including Resveratrol – the beneficial substance found in . 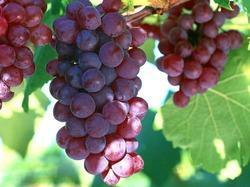 Grape Seed Extract supports antioxidant health, and can contribute to a healthy heart.